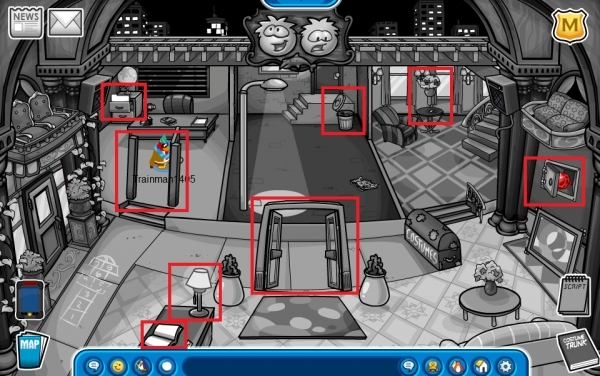 Ruby and the Ruby has returned to the Club Penguin Stage for the sixth time. It was last at the Stage from April 2012 to May 2012. To get the all new Square Ruby Pin, you need to click these 8 objects in a certain order. Follow the script. 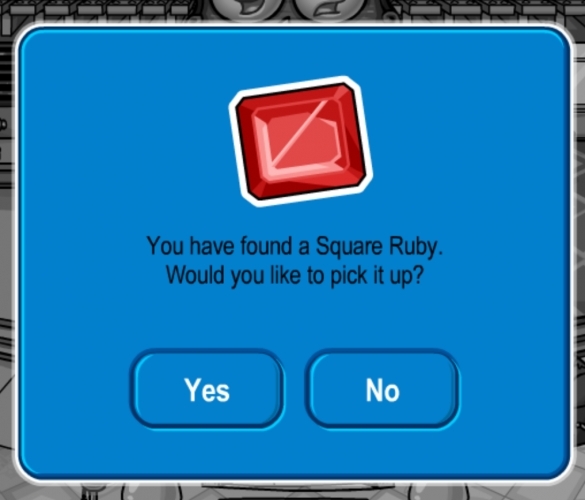 Upon opening the safe you will be offered the Square Ruby Pin. 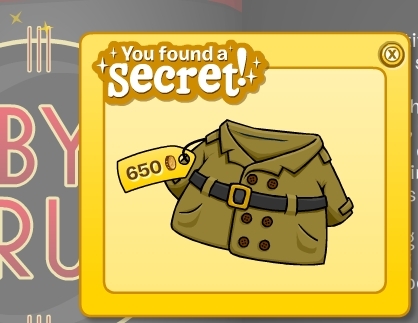 There is also one hidden item, the Dark Detective’s Coat. It costs 650 coins. Click the 3 lines (|||) on the first page of the catalogue. I don’t care how many people diss this play for coming back so much, but I will always love Jacques Hammer as my favorite Penguin Detective. He does his work with attitude, like when he says to Ms. Ruby “…I work alone”, I like that. Yup, hopefully they fix that soon. I’m sure they will. Ohhhhhhh I love getting pins!